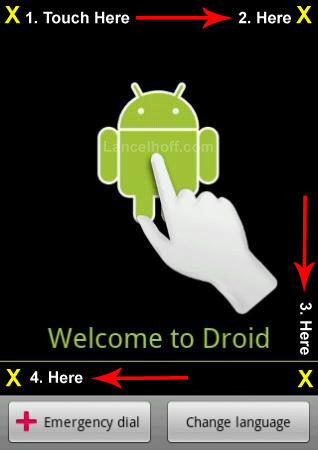 This simple solution covers “How to Bypass the Activation Screen on a Droid X”, so you can use the phone without activating it. This process should work on several other Android devices as well. As an Android developer, this trick is very useful for me, as I do not want to activate my android device through Verizon, each time I wipe my system or flash a test ROM. Sometimes I prefer to try new features of the new ROM before committing to full time usage. Without this option, I would be left reactivating several times a day. You should then be taken directly to your Home Page and you can start using your inactive phone.